Knowing this alters one’s view of these pics. I for one look now at what is before my eyes with a changed mind for staged reality, to me, is not reality. Nick Brandt created photographs that are meant to make me aware of something that does not exist in the way it is documented by these photographs. He shows me a world that I need to imagine. This is a pretty extraordinary work not just because of the surreal pictures (the lighting contributes significantly to make me believe I’m looking at a film set) but also for how it came about. Thankfully, Nick Brandt provides the necessary background information that enables the reader of to understand the process that led to these photographs. It needs to be pointed out that Nick Brandt elaborates in detail about the coming into being of this tome. In my experience this is pretty rare, and I highly appreciate it for without these infos I would have hardly understood what my eyes were showing me. Documenting the process of picture taking is the kind of photography I warm to most. 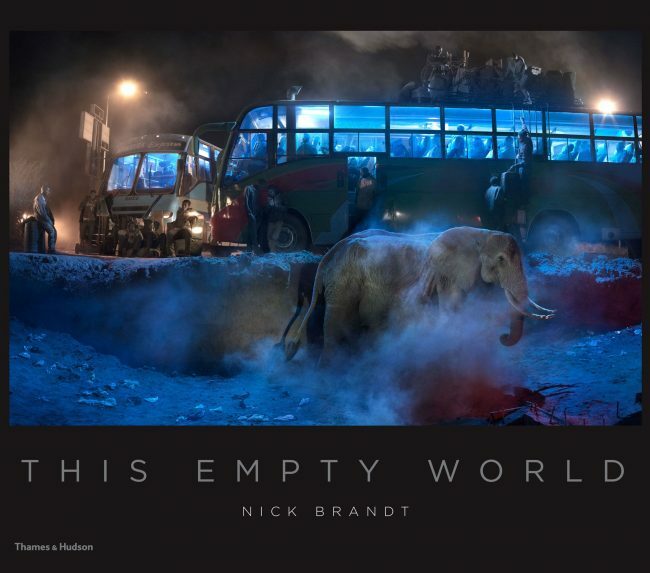 And, “This Empty World” is just that – and more: It is also a truly smart way of raising awareness for it forces us to rethink our expectations, our take on photography, and, ultimately, the destruction of our planet.